St Lawrence School is a ‘proper’ church school: it has a strong Christian ethos at its heart; it has strong links with the Church of St Lawrence here in Napton and values the guidance and support from the Diocesan Board of Education in Coventry. The school sees itself as one of three symbols of the living church in this area alongside the well supported Youth Clubs and the local community who worship at the church. At every opportunity, the school likes to get involved with worship and praise in the community: with the brownies, alongside the village memorial committee, with the village lunch group and of course in our church. But, it is within the school that the values of the church are lived out on a daily basis – in how we let each person grow in grace, how we nurture and look after each other, how we inspire each other and how we work together as a family. The school is a place where faith is openly talked about but does not aim to evangelise. It encourages discussion about the similarities and differences between faiths and of those with no faith whilst promoting the importance of respect for all viewpoints. Worship in school is a daily occurrence: in class, in the dining hall and in assemblies. Parents are invited to join us each Friday as we celebrate achievement and parents are always warmly invited to join us when we go to church each term. Assemblies and special days are central to shaping and culturing our ethos – with contributions from our local church, from our school orchestra and from national bodies and research projects including SACRE and the Cambridge Inter Faith Group withWarwick University. Over 95% of parents think that St Lawrences had a strong Christian ethos in the Parent Survey in the Spring of 2015. A church inspection (SIAMS) took place in May 2016 and judged us as an outstanding church school in all areas: testament to the expertise and enthusiasm of staff in partnership with most supportive church, our parents and our wider community. The school is currently supported, advised and overseen by the Revd. 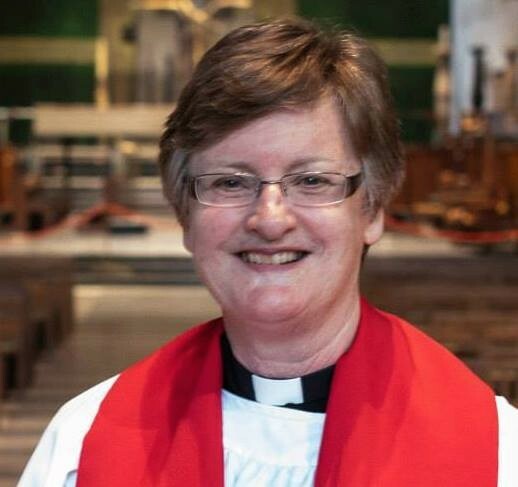 Gillian Roberts; Curate in Charge of the Bridges Group of Churches. Gillian is also a governor of the school alongside the other Foundation Governors who are appointed by the church. The school also hugely benefits from the Worship team. Please bless our school and everyone in it. And to grow more like you each day. Please pray for all those who work with children; may they remain steadfastly focused in their vocation during these times of austerity and change. Write up of our ‘Story Tent’ Day and the work of Tracey Butcher in the RE Today magazine.